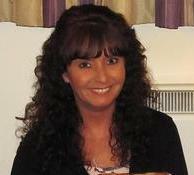 Hi my name is Paula, I am 53 years old and new to the site. My aneurysm burst on Saturday 9th Feb. I was just ready to go out with some of my work colleagues to celebrate a birthday. I came downstairs all ready to go, then came the worst headache and neck pain I've ever had, I said to my hubby there's something wrong with me and I think he should call for an ambulance.. I lay down on the floor and passed out, on waking I started vomiting and couldn't stop. My hubby had rung my sister who is a nurse and had just finished her shift, lucky she lives in the next road. She quickly came round and rang for an ambulance. The ambulance said it would be up to 2 hours!! My hubby and sister got me in the car and took me to our local A and E. It was packed to the rafters but they took me through more or less straight away. I felt dreadful and in agony, after waiting a while I had a scan. When the results were back they told us what it was and we couldn't believe it. I was quickly transferred to the fantastic Walton neurological centre and I was operated on the next day, I had a Web aneurysm embolization device fitted, they said it was 8mm aneurysm.. I was very, very scared and when the surgeon and doctors were speaking to me I was petrified but they said if I hadn't had gone in the outcome would have been catastrophic!! After a couple of days in ICU I went on to another ward. I still felt dreadful and got an infection. As the days went by and I started to feel a tad better. I met lots of lovely ladies on my ward who most had gone through the same thing. Most of them had suffered some sort of disability. I was so lucky, I had not . The consultants, doctors and nurses were fantastic all they way. After over 2 and half weeks in hospital I was discharged. I have now been home 3 weeks feeling bit better but still extremely tired while doing nothing and still very headachy.. I'm trying to be positive but am going through the why me ? Will it come again and scared of doing anything stage. It's good to be able to speak or see how others are doing and coping and knowing your not alone..
Wishing everyone lots of love in your recoveries. Sorry for your SAH. I hope you are taking it easy and hydrating. You can search this site for lot’s of helpful information about recovery. Please tell is how you happened to find Behind the Gray? You have certainly come to the right place for lots of helpful information and friendly caring support. How you are feeling at the moment is all very normal, you have been through a major trauma. Rest up as you have been and drink plenty of water. Listen to your body and be kind to yourself. We look forward to hearing more from you and please feel welcome to join in the daily banter in the Green Room. So glad you found BTG. I am sorry to read of your aneurysm. Sounds like you had great care. You are doing so very well so early in your recovery. Be so kind and patient with yourself, this is a major trauma to your brain. There are so many wonderful people here all so willing to share their experiences as they recovered. We are all survivors here. I was down and came on here and I saw people who had a bleed/SAH etc. and they seemed to be able to laugh while I was planning my funeral. Then I realised there is a life after a bleed/SAH whatever we had. The more I chatted the more I smiled, so down went the funeral plans and I started living again, walking is not that good 400/600 yards then back aches. You have come to a great place for support and advice although we are not allowed to give medical advice, we can help you by sharing our own experiences and hope that helps you to understand some of the things you may feel as you go along the recovery road. The fatigue is very normal, you brain and your body have been through a trauma and the smallest of tasks can make you feel very tired, try to make sure you are drinking plenty of water and staying hydrated, this really does help with any headaches you might suffer. Recovery takes time so try not to rush it, it's still early days for you, as has been said, be kind to yourself, if you try to do to much to soon your body and your brain will let you know, plenty of rest is the key thing early in your recovery, listen to your body and when you are tired make sure you rest. We also have a section here for family who are caring for the person who has suffered SAH, lots of helpful advice in that section. We will do all we can to help you and support you as you go along your recovery journey. Warm welcome to the site, so glad that you found us.